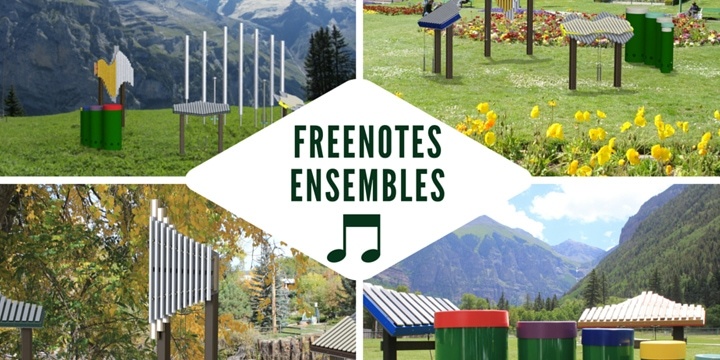 Freenotes Harmony Park instruments have found homes in community gardens, school Playgrounds, private yards, urban centers, hospitals, playgrounds, museums, river trails and now Music Parks. 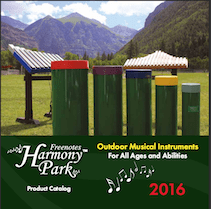 Freenotes Harmony Park Outdoor Musical Instruments were invented by Grammy award winning musician Richard Cooke. 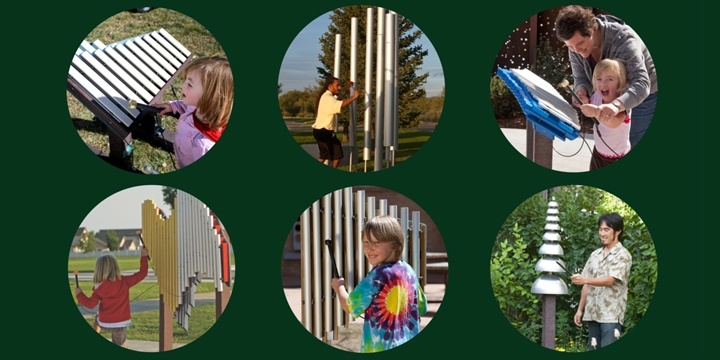 They are a great addition to community gardens, school Playgrounds, private yards, urban centers, hospitals, playgrounds, museums, river trails and now Music Parks. Built to maintain pure and soothing tones through years of rigorous play and exposure to the elements of nature. Can be installed indoors or outdoors and do not require any protective surfacing. Designed with acoustic precision and perfect tone. Appealing to All Ages and Abilities. Carolina Parks and Play sells Freenotes in North Carolina and South Carolina.